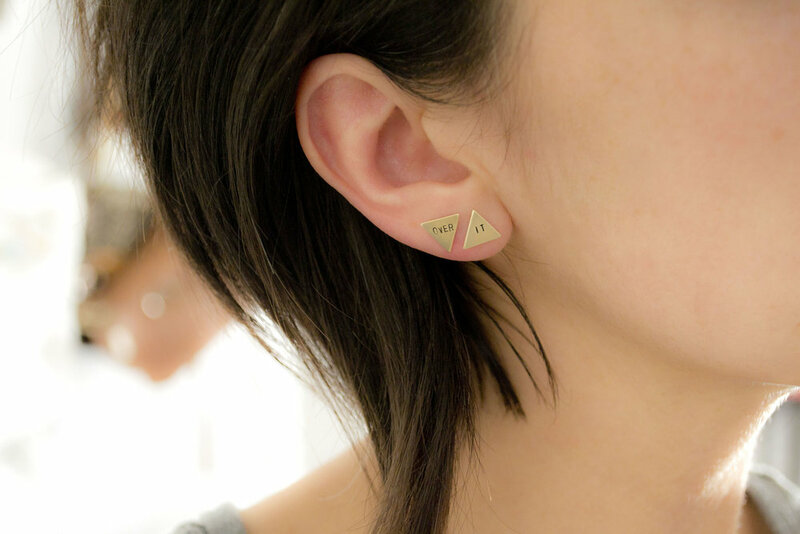 Hand-crafted jewelry with a touch of sass, a pinch of the profane, yet always classy.Grey Theory Mill carved out their place in the world with their tiny stamped statement earrings that continue to spark laughter & eye rolls from coast to coast. 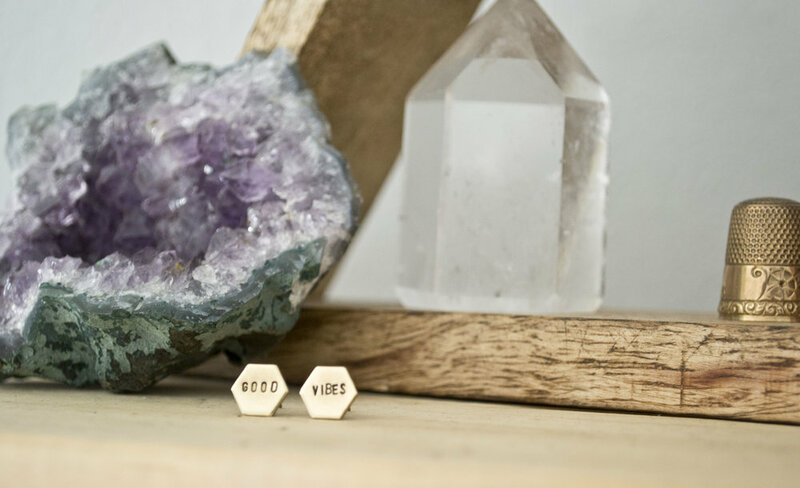 Stamped-sassy-sayings aside, they also aim to curate cohesive jewelry collections that merge simple, edgy, hypoallergenic, & timeless design with high quality + ethically sourced materials at accessible price points. 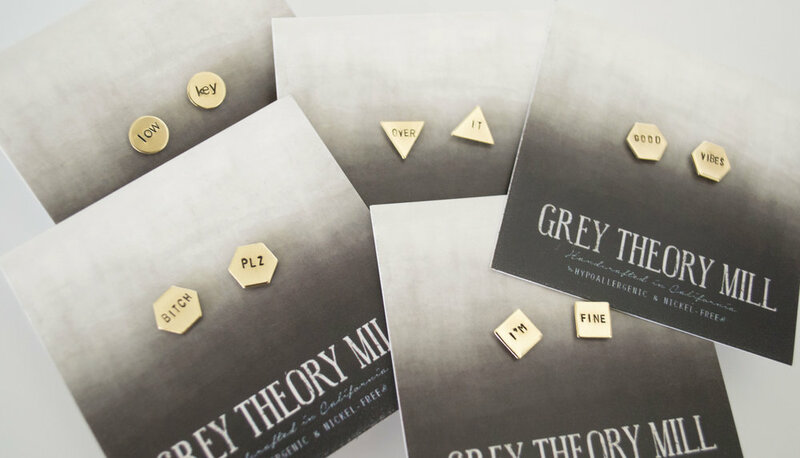 Grey TheoryMill is a brand with the everyday woman in mind.